Few days ago we reviewed and tried ON/OFF Photo, the app that enables you to delete any photo you've sent through your phone. Days after we think that it is the best app we reviewed this month and for the uniqueness and functionality we pronounce it as App of the Month. The app stops all the photo sharing drama and offers total control over the photos you have sent via email, or all famous messaging apps. 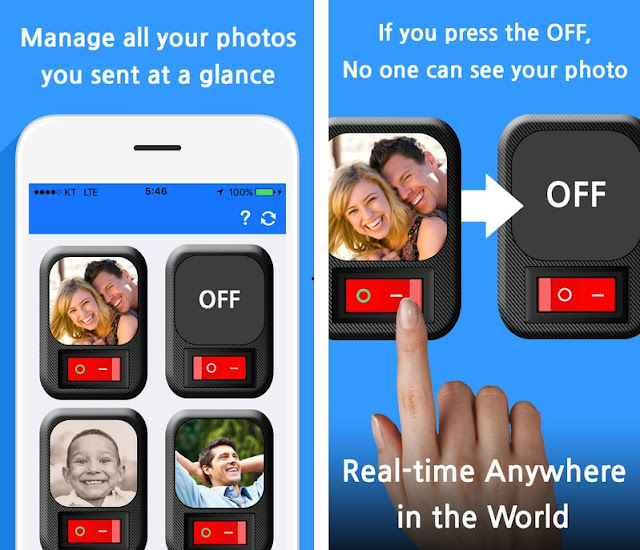 We are talking about the new iOS photo app – ON/OFF Photo. This innovative iOS photo app gives you ultimate control over the photos you’ve sent. In a simple setting, all you need to do is tap once and the person looking at your photo will not be able to look or view it again. You can do that with all photos you’ve shared and you can do it at any point. On top of that the app gives you ability to chat about certain photo and can send you notification when one of the photos you’ve sent is being viewed by other users. For example, the app can detect that your photos are being sent to someone you do not know, and it is possible to delete the photos in real time anywhere in the world, at any time. ON/OFF Photo has been tested by our team for the last few days and we can strongly confirm its simplicity and functionality. It is indeed a great app to have on your phone, especially if you are often chatting and sending photos to your friends or family members. What do you have to lose? Just download the app and in future sent your photos via ON/OFF Photo. You will avoid a lot of uncertainties! See the video bellow to better understand the app and its features. MyDeviceLock Biometric AppLock is based on the latest biometric mobile technology that offers unsurpassed security. Most of the smartphones run on Android OS and millions of users take the advantage of the amazing features of this operating system daily. However, we should never forget that our phones carry many sensitive data, which should be accessed by anyone without our permission. Almost every Android smartphone comes with some sort of security features such as password protection or pattern system to unlock the device, but the OS does not offer any security for an individual app, which can be problematic for you, especially your phone goes into your family members frequently. Therefore to give you an ease we researched the app market and chosen this app, myDeviceLock Biometric AppLock that is a necessary tool for your device. 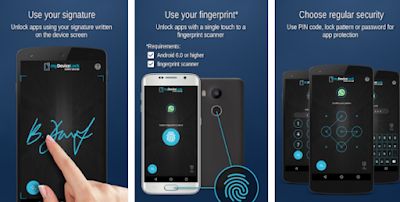 What is myDeviceLock Biometric AppLock? MyDeviceLock Biometric AppLock is a powerful tool that protects your personal information on your device, developed by Neurologix Security Group Inc., the app is completely free and with no ads. MyDeviceLock can protect any app on your device including phone calls, settings, emails, photo and video galleries, SMS, social network apps, messengers with popup windows and many others. It offers a unique feature! An exciting feature of myDeviceLock is a signature app lock mode that gives you the ability to use your own signature, written on the screen, as a key to unlock your apps, photos and videos. Based on machine learning algorithms the signature lock cannot be tricked even by the one who saw what your signature looks like. While PIN code, password or lock pattern can be seen and fingerprint can be taken when you sleep – the signature cannot be falsified, even by the one who saw it. It is versatile, simple, and one of the better Android tools. You can download it free from the link present at the end. With improved screens and lots of available HD content, it has become easier than ever to turn your Android phone or tablet into a portable theater. It gets even better because Android's open architecture and app marketplace allow users easily, to replace stock video players with a variety of excellent video apps, allowing you to get just the features you need. 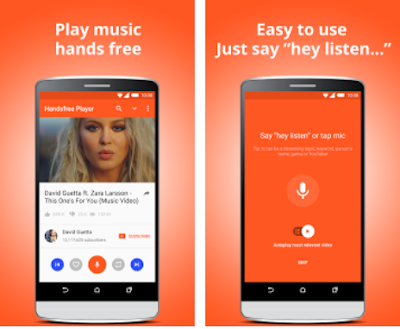 Ranging from light, easy-to-use players to highly configurable powerhouses, check out this review about this newly developed app, Handsfree Player for YouTube. What is Handsfree Player for YouTube? Handsfree Player for YouTube is smart video player app for the most famous video platform YouTube that allows you to watch YouTube video Handsfree while you are on the go. It is the best option for people who wished that they could get YouTube to play their favorite music non-stop with a simple voice command. In order to start using this app, from the initial app view, say the phrase “hey listen”. The app will then display a ‘listening’ prompt. Say your chosen search term. The app will find and play the most relevant result. In addition, to this you can also skip this command and enter your search your content manually by searching it from the search box. It also allows you to save your favorite videos to your Favorites list, whilst that video is playing, tap the heart button located bottom-left of the main app view. To view your favorite videos, from the main app view, click the app bars down arrow followed by the Favorites (heart) tab. This app is available free to install across the globe and is compatible with all of your Android devices. AbiliSense Recorder is an amazing app that tends to turn sounds into feelings and alerts. In general this app is dedicated to help deaf people experience and get notified with sounds they coulnd't hear because of the disability. AbiliSense Recorder helps them feel and get notified when real life sounds do occur, example: baby crying, door ringing, emergency sounds, dog barking and tons of other sounds. Every sounds is categorized and anyone from the world can help by recording sounds that are not included in the app and are useful in real life. 4. Super light and intuitive sign available accross platforms. "Great cause, helpful and with amazing functionality. This is an extraordinary app!" Any photos you take can be hidden by password-protecting them, hiding them behind a calculator, or locking them. But this is all related to your own iPhone or iPad. What about the photos you sent to others? You are completely giving them the freedom to do what they want with them. 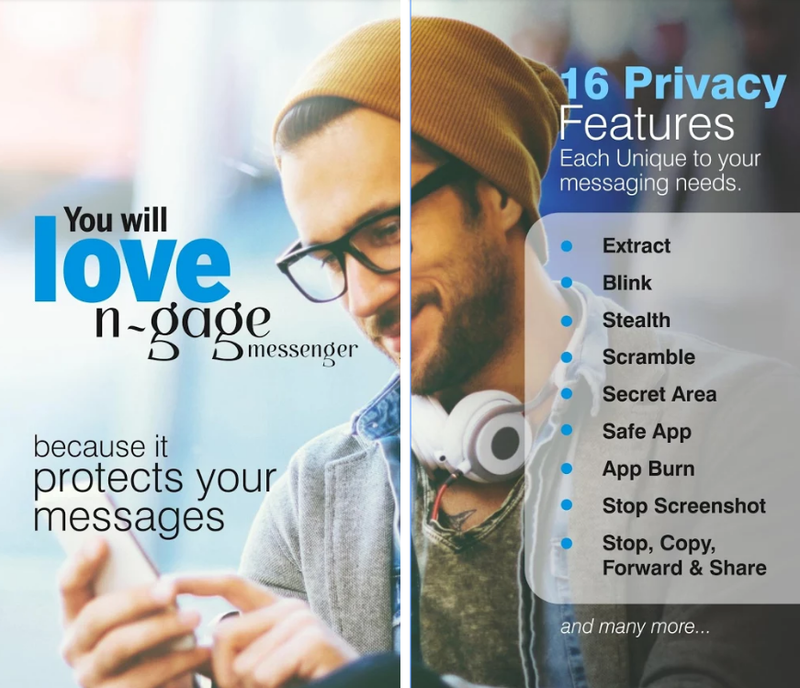 Today we will present an app that stops all this and offers total control over the photos you have sent via email, or all famous messaging apps. 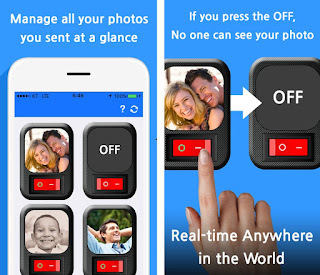 We are talking about the new iOS photo app – ON/OFF Photo. ON/OFF Photo has been tested by our team for the last few days and we can strongly confirm its simplicity and functionality. It is indeed a great app to have on your phone, especially if you are often chatting and sending photos to your friends or family members. What do you have to lose? Just download the app and in future sent your photos via ON/OFF Photo. You will avoid a lot of uncertainties! Apps are more powerful than ever, but it is hard to know which ones will waste your time and which ones will save it. From fan favorites to cutting-edge newcomers, these apps help you sketch out an idea, take detailed notes, or stay in touch with your team. Whatever your day consists of, these apps help you be more done, faster. 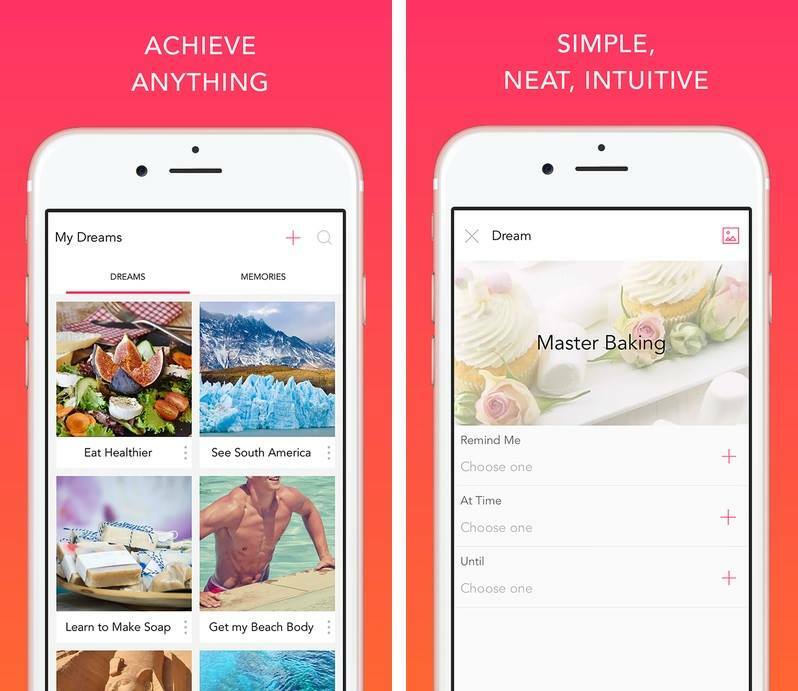 That is why we have compiled a review for newly developed app, Limbic - Achieve Dreams, Complete Goals that will make you more productive, and take away some of the stress from your life. How “Limbic - Achieve Dreams, Complete Goals” works? 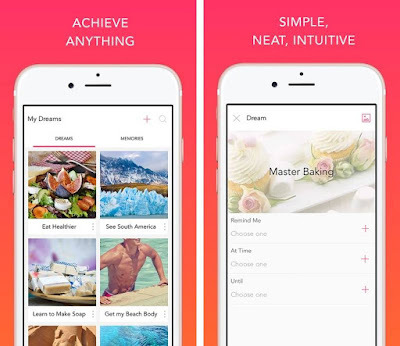 Limbic - Achieve Dreams, Complete Goals is a nice app for tracking goals and dreams. You can set your goals and this app organizes them. One of the hardest things to overcome about long-term success is the fact that you do not complete the objective immediately. As you do not write a book in one sitting, you do not learn a language after one lesson; your bricks for writing a book would be to write for one hour per day, and that is it and that is how this app actually works by timely notifications and reminders to help you achieve your goal brick by brick. Simply set a goal, upload its picture or take it from within the app, set a target by inputting a goal value or a certain date and then specify the action you need to do to turn it into a habit. The Strides app lets you track it all by day, week, month, and year or even on a rolling average. All of your data is synced across your account so you always see your latest stats whether you access it from the web, a mobile device, or anywhere else. In addition, whenever your dream is completed mark it as completed. It is compatible with your iOS and you can avail this life-changing app free from the direct download link present at the end. The method assures rapid improvement of self-esteem. It can be used everywhere, at whatever time of the day – on a smartphone, tablet or computer. The method is intended to help everyone, from any walk of life - students, adults, business professionals, at-home mums, seniors,… - to develop and improve their self-esteem. In order to make the RISE® Method user-friendly a '3 clicks' page has been developed inside the mobile app enabling to keep track of both daily results, and overall progress. The RISE® Method will turn self-doubt into self-esteem, and create a happier, healthier, and more confident you. It will not only make you feel more successful, but teaches you to develop an innate trust in the way you live your life, allowing you to say goodbye - once and for all - to the Impostor Syndrome that tells you, 'you are not good enough, or worthy enough'! RISE has helped a great number of people; it can help you. The best app with effective and easy steps to improve self-esteem. The security of a smartphone is something that should be taken very seriously. Android OS does allow users to add a passcode lock to the lock screen, but many users find it very inconvenient and would rather risk their data getting into the wrong hands than enter the PIN or pattern lock every time. Majority of us use email and other messaging apps on our mobile devices, which contain sensitive data that we would not want others to access. What if you could just password protect specific apps such as Gallery, Messages, etc.? The Google Play Store has some decent tools that password protect specific apps so you do not have to lock the entire device. Past the break, we have compiled this review for an app from this genre. We are talking about, Apps Locker. 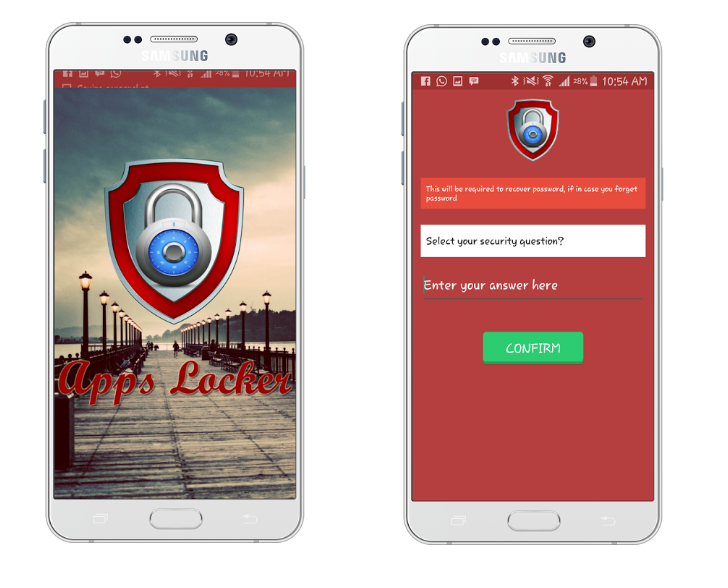 Apps Locker is the wonderful app that will protect your Smartphone from intruders. You can apply the pattern lock for apps that are installed on your Android device and whenever you install new app to your deice it will automatically ask you for either you want to protect it by this app or not. This will deny the access from the authorized users. It also ask you for the security question at the start which is the best option if you have forgotten the password as by entering the answer for that security question you can recover your password. Moreover, you can also hide the app icon from application menu and if you want to access it later, it is very easy to unhide. The main aim of the app is to protect your Android apps from wrong hands and the app is succeeded in its intention. 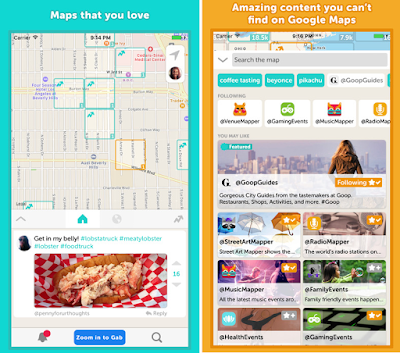 The app looks good with color combinations, easy to navigate and very easy to use. It is one of the best apps to protect your Android device sensitive data. Direct download links to the app are given at the end. One of the more common things people need to do is transfer files from their mobile device or tablet to their desktop. Sometimes it is a photo, sometimes it is a song, and many other times it’s some sort of document, presentation, or other file that needs transferred. There are actually quite a few ways to transfer files from Android to PC (and back again). To process these ways there are tons of apps available in the market. 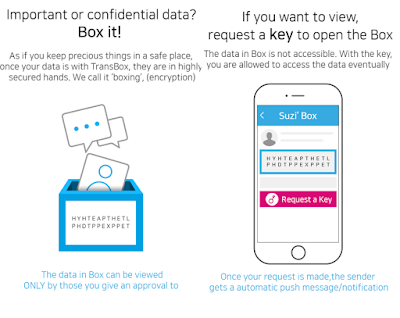 In order to give you an ease in selecting the right app we conducted a research and we rounded up with an app, TransBox that is ensuring you for best data encryption and secure transfer. TransBox automatically allows encryption of files and other data on laptops, desktops, and smartphones for secure file sharing across email, chatting, social network service, and cloud accounts. By using TransBox, work with your most sensitive documents without second thoughts. Use this to keep control even when you share files with coworkers, clients or vendors. · It ensures protection of your valuable data with boxing function to encrypt your data for communication. · You can easily assign the users who can access or view your transferred data. · It also provides you data reader and time of data check info, to track your data. · You can destroy the transferred data even if shared by using various channels. · If someone wants to access your transferred data that are not from the list of your assigned users, they have to make a request for password key. · It offers best and easy to use UI. Therefore, do not hesitate o install and start using these incredible features. Direct download link to the app is present below. Wheel of Bitcoin is a simple app that enables users to earn bitcoins for free. All users need to do is spin the wheel. Any bitcoin users earn will be transferred to Xapo wallet. Another interesting fact is that Wheel of Bitcoin has a happy hour in which users can earn x2 payouts. "ok, I don't usually leave reviews but I had to make an exception with the wheel of bitcoin I've never seen anything like this no registration, no waiting, and unlimited earning potential...all paid out instantly....simply incredible!." 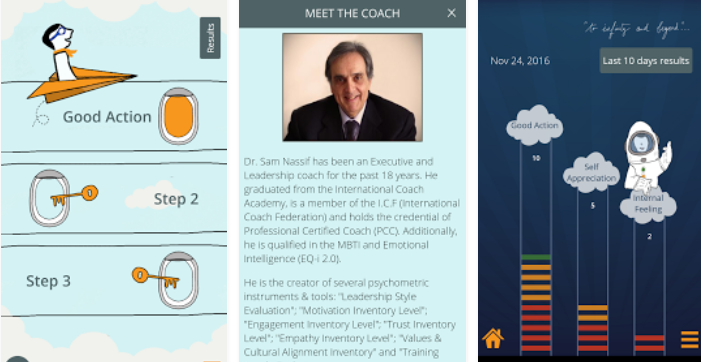 The Me App is the best personal development app, specifically designed to analyze your personality and train your brain. Our most difficult challenge in this life is to define our purpose for being. Our experts will guide you systematically to find your purpose. Once your purpose is revealed, you need a plan to reach your new goals. Once this thing was very difficult to know but thanks for the technology as it has made it possible to know who are you and your life purpose. We are proudly here for the purpose, to give you an app The Me App that will briefly tell you about your purpose in life and the better understanding of your personality as well as the expertise of your beloved ones. What is The Me App? 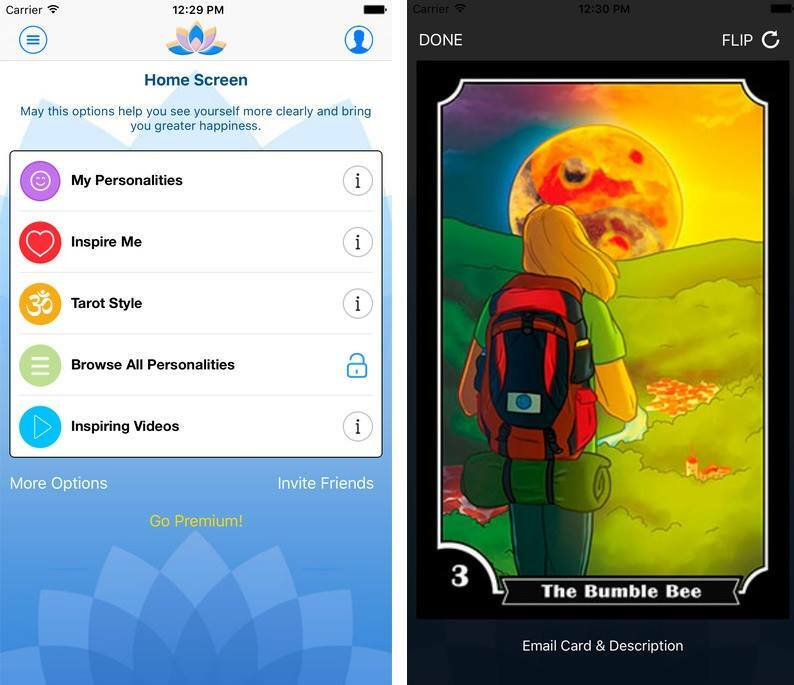 The Me App is an app developed for you so that you can explore your life, your aims, your dreams and your needs. This is the best tool for spiritual growth that really brings a improvements in your relationships and career. In this app, there are readings about 78 personalities of human conditions and videos from Award Winning comedian and Coach Paul Wagner to guide you about the communication boundaries and he is explaining that how to lead through the path of success. · It grooms an individual and helps him make a mark of his/her own. · It goes a long way in reducing stress and conflicts. · It development helps you develop a positive attitude in life. It is so important that one's success depends on it and this application gives all handy tips to develop a better personality in you. Download and Enjoy! VESNA BREAST CANCER SCREEN is an excellent resource for information on breast cancer. Breast Cancer Awareness Month puts women's health in the spotlight. However, once the pink ribbons are put away, resolutions to do monthly self-exams eat healthier or stay up-to-date on important wellness issues can be forgotten. Problem is, it can be difficult to establish and stick to a routine — even though research shows that people who identify health goals and monitor their progress in an ongoing way are more successful in achieving them. Luckily, help is as close as your mobile device. 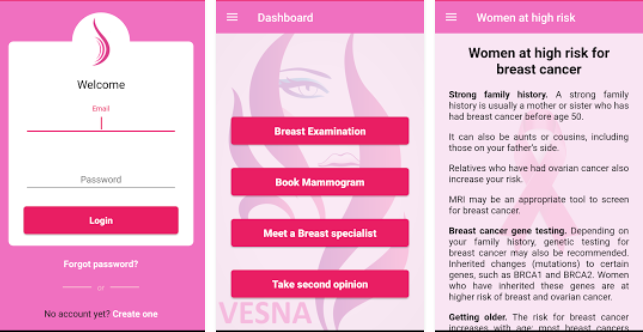 Moreover, for you ease this time we have chosen an app, VESNA BREAST CANCER SCREEN. What is VESNA BREAST CANCER SCREEN? VESNA BREAST CANCER SCREEN is an app for creating Breast Cancer awareness by providing comprehensive breast cancer guide with support of the best experts, doctors, and researchers in the world and groundbreaking technology. Because many times, there is incorrect information found on the Web, but with this app, you know you are going to get accurate and professional information and facts. Why you should install this app? The App reminds you to perform monthly breast exams and alerts you when to schedule your annual checkup or mammogram. It also educates the user about the signs and risk factors associated with breast cancer. This is the perfect resource for understanding your diagnosis by providing video tutorials, giving access to meet the specialists and if you want to take second opinion for your questions about radiology images, biopsies and making resources available to help loved ones better understand the disease and its treatment. So what you are thinking then? This is the right choice for you to be aware with breast cancer and to help others. It is free to install and compatible with all Android devices. Few days ago we reviewed Double Whatsapp, the tool that enables you to have 1 whatsapp on two phones or two whatsapp accounts on 1 phone. It is one of the best apps we reviewed in weeks, and because of its helpfulness we decided to make it App of the Week. Whats Double Whatsapp and how to make use of it? 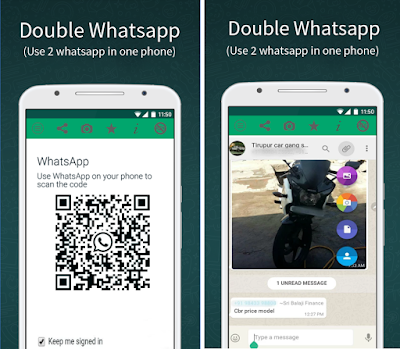 Double WhatsApp is free app for creating two WhatsApp accounts on one android mobile or keeping one account on two mobiles. Even there is no need to root your Mobile. This will work with every device. If you are a chatting freak person who never gets tired tapping keys on mobile than this is the best way to keep your craziness going. In fact, most of us want to have dual WhatsApp running on their device. This app gives you an opportunity to keep personal and professional life separate. Download this app today on your Android’s smartphone without any cost or if you want to download its Pro version (to have some extra features), it is also available for $0.99. Direct download link to the app is given below. 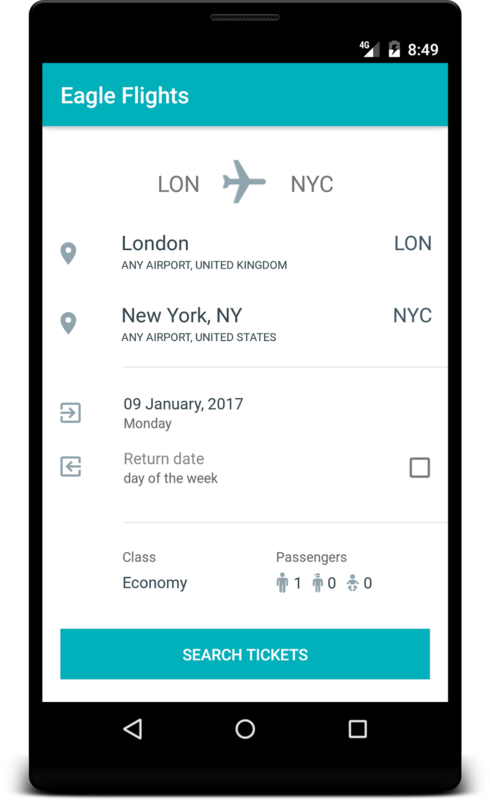 Eagle Flights is a travel app that will save you money if you are frequently travelling with airplanes. The airtravel and plane tickets can be extremely expensive, but also you can save a lot of money if you have insider information provided by apps like Eagle Flights. With this app you will be always assured that you will have you favourite airline with zero booking charges and hidden fees. It works with Qantas Airways, Lufthansa, Garuda Indonesia, Hainan Airlines, Thai Airways, Air France, Swiss Int'l Air Lines, American Airlines and much more.! 1. 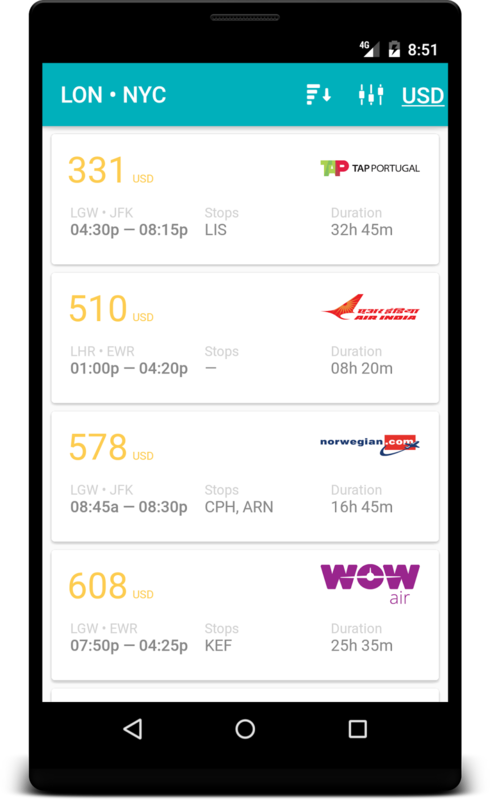 Buy cheap flight tickets from 1000s of airlines. 2. No need to visit websites and travel agent's offices to buy flight tickets. 3. Don't pay extra to buy flight tickets. The days when slick racing games were the preserve of home consoles and arcade machines have long past. You can now get anything that scratches your racing itch on your Android device, whether you're into advanced simulators, slick arcade racers, or kart racers. What's more, Google's platform is also home to a range of new racing sub-genres and hybrids that defy categorisation. One of them is most definitely the 2D monster truck racing genre. Today we have a game that is maybe the best in this category in the last few months. Not only because of the impressively interesting gameplay, but also because of the whole concept and graphics. We are talking about DESERT Monster Truck Freestyle. Expect something unusual and different in terms of graphics and artwork. The desert setting is something that you will wildly enjoy in every moment of the day. It will always leave you wanting for more and the riding experience can become addictive. DESERT Monster Truck Freestyle is created in that way. The spins and lovely moves of the monster truck will make you want to enjoy the freestyle movements more and more. Generally, the whole game just feels right. The Arabic dance music just get you into the game faster and it goes perfectly with the dynamics of the movement. The controls are easy and everything is just so intuitive. Got to give respect to the other alternative items in the game like the cars and the items. Thus, if you are in for a blistering, memorable and fully enjoyably monster truck riding, get the game. You won’t regret it. Bible Promises & Verses will help you understand and apply God’s Word. The modern age has made it much easier for those who are religious. Especially those who want to study religious texts like the Holy Bible. Not long ago, you would have to find a pocket Bible or figure out a way to carry that giant book around with you. These days you can just carry a copy of it on your mobile device for quick reference. Here is the best app we have found out of the pool of apps from the same category. We are talking about, Bible Promises & Verses. What is Bible Promises & Verses? 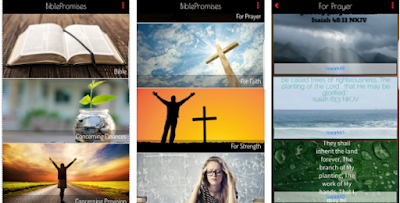 Bible Promises & Verses is an android app that has a collection of inspirational Bible verses can lead you into a deeper understanding of who God is and what is His plan is for your life. He wants to "prosper you and not to harm you, to give hope and a future" (Jeremiah 29:11). You can also send these to a family member or friend in need and be assured that God can work miracles when we choose to believe His promises! Bible Promises & Verses offers many valuable quotes and verses on strength, finances, Loneliness, angry, dissatisfied, prayer, waiting upon the Lord, feeling tempted and lots more and the best thing about the app is that all verses and promises are arranged under the categories based on their types, which means you can easily find any verses whenever needed. You can also set these beautiful verses with cool background pictures as your device’s wallpaper using this app. Use these verses to be inspired and motivated to continue believing and having faith! Install this app free for your device from the link given at the end. Apple's iOS is fertile ground for a wide variety of great mobile games across every genre. Armed with strong graphics and responsive touch screens, the iPhone and iPad are solid gaming machines. Check out our roundup of some of the best games available on iOS across multiple categories. 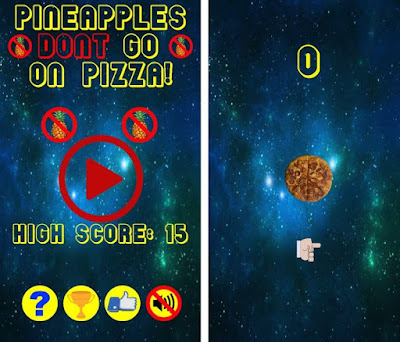 Whether you have just gotten an iOS device that you are looking to load up with games or you are a long-time iOS device owner who wants to try something new, we have found the best choice for your iOS device that is, Pineapples Don’t Go on Pizza. What is Pineapples Don’t Go on Pizza? Pineapples Don't Go on Pizza is a tap tap game, based on a story of new trending topic these days on social media. 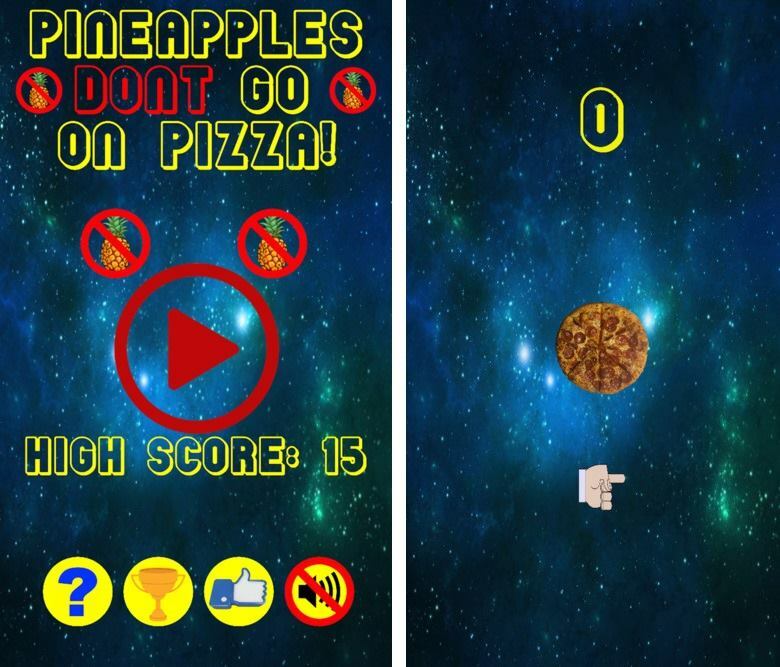 Once you open the this game app and start playing you will see a pizza on the game screen and there are some pineapples that are falling down from the top of the screen, no what you have to do is to save this pizza from these falling pineapples by tapping the game screen. If these pineapples hit the pizza five times you game is over. · It is simple and easy to start. 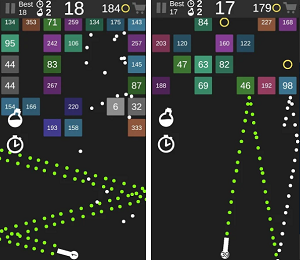 · No special controls required to play just tap and enjoy. 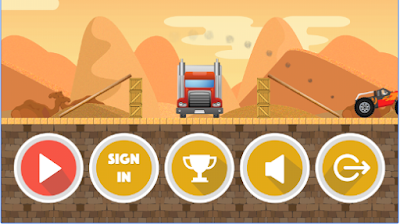 · It contains Beautiful graphics and funny music. · There are no special requirements to install this game. · It requires no internet to play. · There are Leaderboards to compete with your score globally. This exciting game is free to download and it is available worldwide for all iOS device. Direct download link to the app is given at the end. For the truest fans of the football game there aren’t many apps that are more enjoyable then the football manager apps. That is why today we will present and review one our most enjoyable and most entertaining Android games ever – WS Football Manager 2017. What is WS Football Manager 2017? It is a critically acclaimed football manager that is produced by Röist. 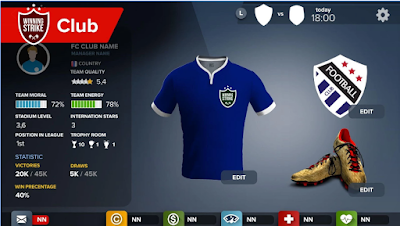 In general, it is one of the best and most interesting football manager apps because it offers the full and complete manager experience. You need to take care of so many details, make important decision and even try to control a highly positive team spirit for ultimate performance. Expect pure sport entertainment. You’ll have all means to manage your club like a real football manager. From Barcelona and PSG, to Liverpool and Manchester United, you will have tons of clubs available to you. Available in multiplayer the game will enable you to test your managerial skills with other players across the globe. Additionally, you need to create training sessions, transfer and negotiate of transfers and much more. Everything is packed in a beautifully designed gameplay. It’s intuitive and you will make use of it even if you haven’t ever played a football manager game. It’s a really well-crafted soccer manager experience. Get it for free and see what we are talking about! Are you looking for an all-in-one solution to managing your social media presence? Thus, you are at the right place. 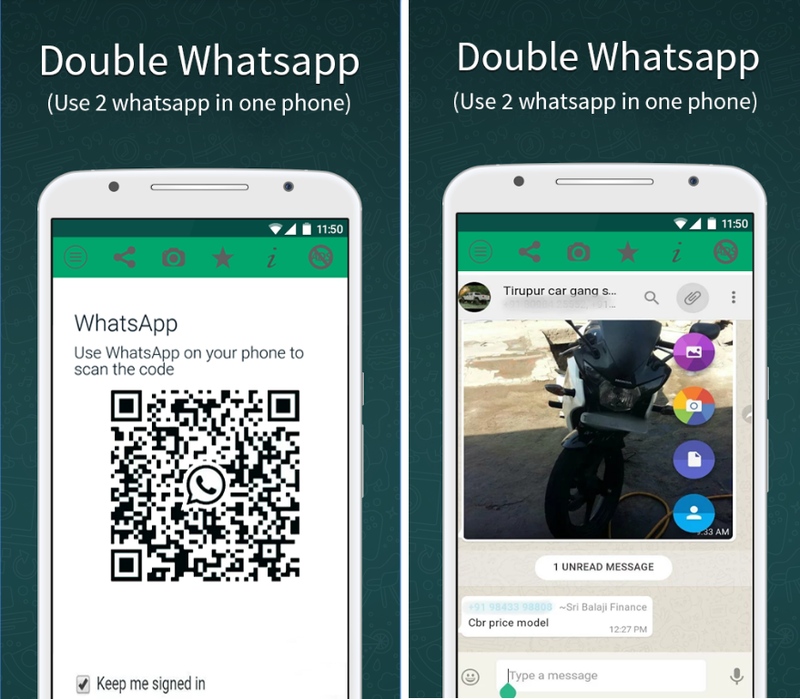 We have brought an effective tool for your Android device, named as Double WhatsApp. Folks with the new technology trends there are many instant messaging app are made available in the town claims that they provide the fastest and secure highest quality communication. In most of the available apps all of your data, even your calls still passes through the provider’s cloud, which is also not secure way to communicate when it is about confidential conversation. For this reason we are researched an app n-gage messenger that will satisfy all the needs of communication. n-gage facilitates a rich messaging experience for its users with various fun and interactive features like ‘n-Cards’, ‘n-Stickers’, ‘Chat Makeovers’ and ‘Doodle Plus’. Unique features of this app include n-Stickers, which allow the user to express exactly what is on their mind. Users can create groups with up to 300 participants from their contact lists to enjoy multiple conversations under one group. Thirdly, language is no longer a constraint as n-gage enables users to communicate in over 45 languages with ‘Translate’ feature. This app aims to educate the user, on how they can maintain a good and healthy lifestyle, without compromising on all the fun. Hence, the feature ‘Know’ an entire section of articles and various health tips to keep them updated with the latest lifestyle trends and help them stay in the pink of health. Users can also share messages, doodles, and attachments on various other social platforms such as WhatsApp, Facebook, Emails and SMS, without requiring the other person to download the app. Enjoy the rich, secure and fast quality of communication with n-gage messenger and stay in touch with your close friends and family. Download for your android and iOS device free today! Many of people spend a great deal of time in the gym working on our bodies. Now just like a healthy physical form, a healthy mind also needs to flex its mental muscles and get some exercise. In fact, there are studies that show playing puzzle games can help increase mental agility. Brain training apps combine the latest in brain science with puzzles and mind games to keep your wits sharp. Check out this review about a puzzle game app, 63 - Find Sixty-Three Numbers to grab it for your Android smartphones. 63 - Find Sixty-Three Numbers is game app to improve your working memory and stimulate your brain on a daily basis. The aim of the game is to strengthen your ability to pay attention to the right things that is, the things that help you solve the task while learning to ignore things that do not help. 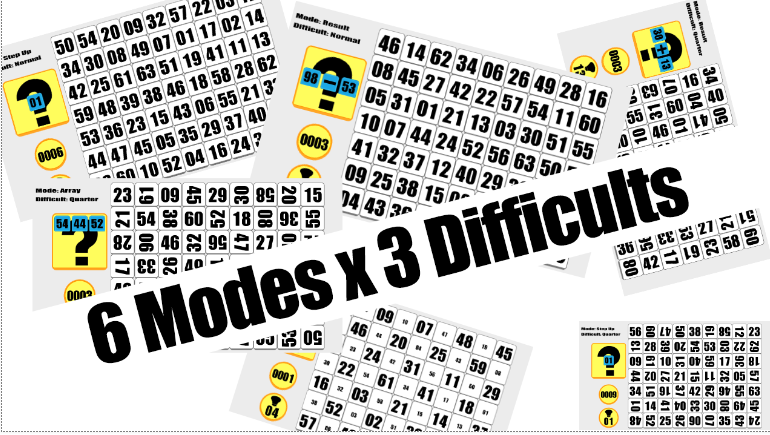 · It comes up with six game mode and 3 difficulty levels combined. · There are 18 levels of puzzle, which you can play. · It offers a unique and complete platform to prepare you for Psycho-technical tests. · It has easy to use controls. Practicing this game on daily basis, before you sleep can deliver fruitful results. It is compatible with all Android based devices and you can install it on your device without any cost. Today's kids are more tech-savvy than ever. In fact, you probably see your precocious children tinkering with your mobile devices on a regular basis. Well, we have some good news -- that Android or iOS device you hold in your hand does not just keep you connected on the go; it can also be a great tool for the little ones. 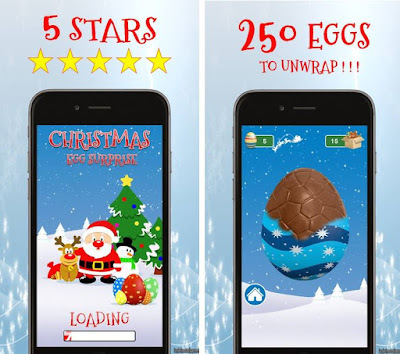 In this review, you will find an app Christmas Egg Surprise for children. 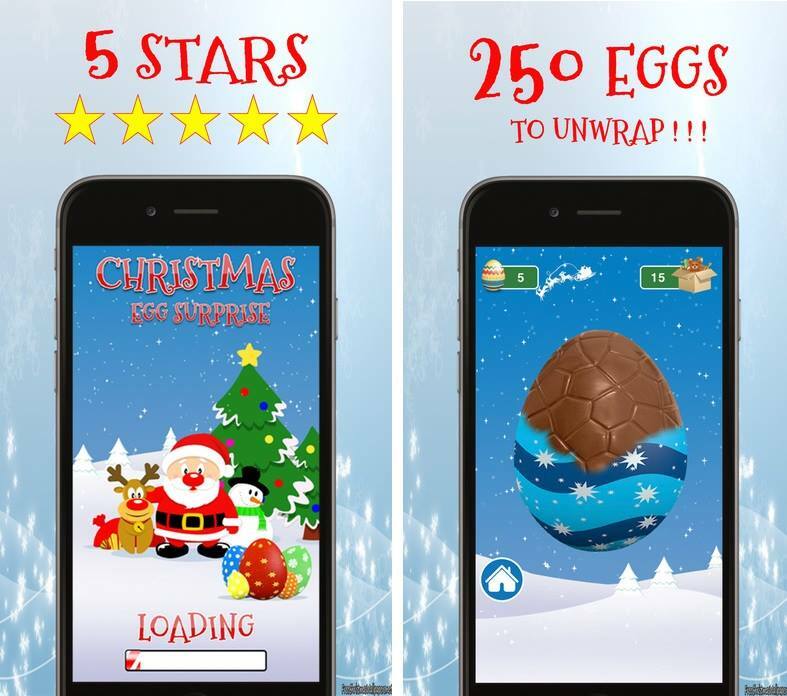 Christmas Egg Surprise is an addictive and fun game for children, combining all sorts of toys with surprises, fun and education. It helps your kid to learn daily used names of objects and improves their vocabulary power. The found gift saves in learning area at the home screen and your kid can easily visit this area to revise the words. · Use your finger to swipe the screen to uncover egg, until a beautiful box appears. Multiple eggs and multiple surprises. Find out many special and crazy surprises with mysterious stuff like Christmas tree, Santa Claus, reindeer, fairy, toys, dolls, elves, etc. there are total 25 eggs in which 20 of these are free and for the rest of eggs either you have watch a video –Ad or wait for daily free eggs. In order to unlock all the eggs it offers a little in-app purchase. Is available free to install and available in Google Play and Appstore. It will keep your kids entertained, educated and engaged. 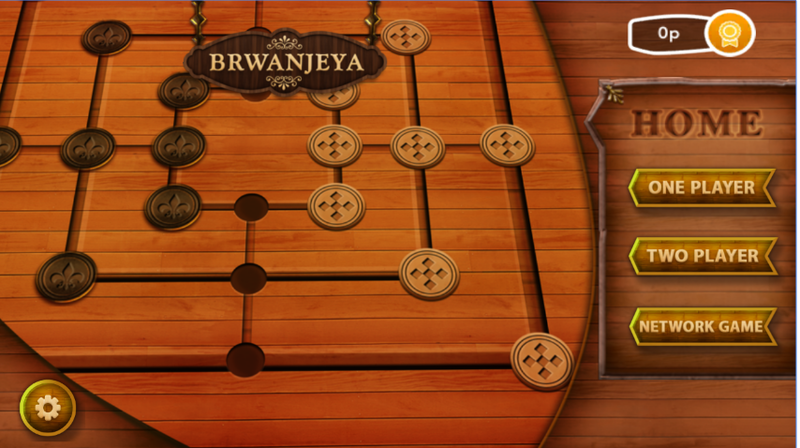 Reviewed few days ago, Brwanjeya is still one of the most played games in our offices. Availble in single, 2-player and multiplayer, the game will really test your Mills game skills. This is a mills online game that can be enjoyed alone and with other players. Brwanjeya is based on world famous Morabaraba game or Nine men's Morris game. This is the board game with precise controls and fluent graphics. Align it Board game is a traditional two-player strategy board game for two players. It is a great way to pass your free time. The game allows you to play with your opponents from all over the world in online mode. This mill game shows ranking between friends and global ranking in leader board. In this variant of 9 men's Morris game the game difficulty level increases as you play more games. This means with each match you play you will find it difficult than the previous one. There is also Facebook integration in the game that allows you to share your achievements with your friends and the game sync with Facebook to save you progress so you can use this game on any device once downloaded again. Brwanjeya comes up with amazing high quality graphics and highly customizable setting. This game is worth for the lovers of match-3 board game lovers. If you are one of them, then do not hesitate to install it on your Android device without any cost! Direct download link to the app is given at the end. Early and mid-childhood are important years in a child’s development. They are known as the formative years where the will to learn is strong and kids absorb everything going on around them. Needless to say! These are the years where learning is paramount. Nowadays, tons of apps are available that can help your kids in their education. Let us look at this review about “iCat” that help your kids learn! Why iCat is useful for your kids? 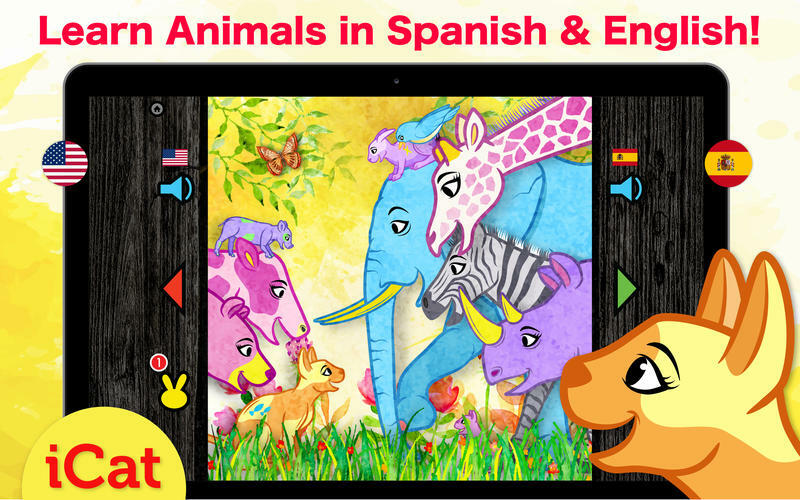 The strength of iCat is that kids can learn names of animals in Spanish and English, naturally while they are using this app. This game app is a good example of gamification that combines game and education. It is fun, intuitive, kid-friendly and extremely effective. Children will learn and remember these names with great commitment. 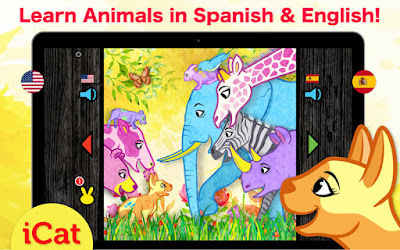 In essence, this is a very well packaged, cleverly designed and progressive educational app. It contains pictures of animals, their names in both of these languages, pronunciation listening, and spelling digitization. The app is very easy to learn and to start using it. Graphics and animations are impeccable and perfectly designed by keeping in mind about your kids and the developer tried his best to design these with complete dedication that you can observe when you will install this app. These animations, pictures and other interaction will surely make kids memorize the important names from both languages. Moreover, these animals’ pictures, which appear on the screen, will also, help your kid to identify these animals in real that is very cute thing about this app. In addition, there are also pronunciations for all the words by voice actors for Spanish and English language, to teach your kid an exact pronunciation for these names. An android device like a computer or a laptop has many different hidden processes always running in the background but unlike a computer or a laptop, instant user access to these processes is not always possible. Cleaning Apps take care of these hidden, background processes and kill idle processes that eat up memory space. 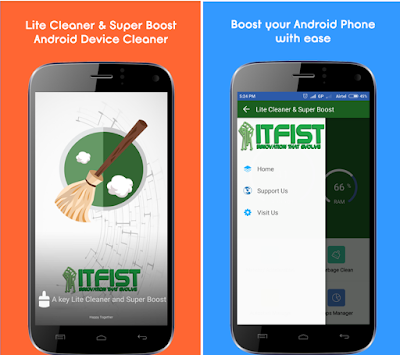 In the following review, this time we have chosen an app, GREEN Control Cleaner & Boost (a cleaning app for your smartphone). What is GREEN Control Cleaner & Boost? GREEN Control Cleaner & Boost offers great tools to optimize performance and usage of your Android device. On the Home screen, the app indicates the percentage of resources including storage and memory used on your device. You are able to save these resources and optimize your device performance with these four tools, namely Garbage clean, Ram Memory Boost, Auto start Manager and Apps Manager, all contained in one app. On tapping Garbage Clean, you will need to grant permission to clean cache junk, residual junk files, ad junk and obsolete APK files. After scanning, it suggests junk files that you can clean in each category and storage space that your device can save. Be watchful and unmark those files that you need to keep before you tap the clean button. Moreover, it also offers app management and app control. By using this function, you can easily control android apps on your system either by selecting not to open them or disable them permanently. If there are some app running in the background and you are not using you can disable hem from here to save your battery. In addition, it allows you to uninstall apps within the app in few clicks. Install it today free on your device and never be overwhelmed with your slow functioning of your phone. 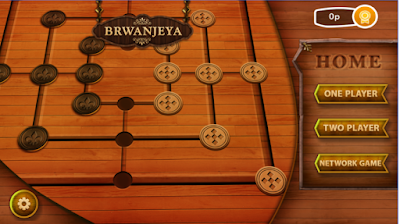 Brwanjeya - The worldwide famous match-3 board game is here for your Android devices. The giant strides in internet technology have provided many benefits to humanity. One of them is the facility to play online games at any time and at any place. Match 3 games have added a splendor to the online games that are capturing the imagination of both adults and children. If you want your daily match-3 board mills fix then we have found a board game that is going to keep you busy for years to come. Therefore, we are here with a game app Brwanjeya. If you were to ask someone back just a couple years ago that coloring books apps would occupy two of the top 50 best-selling books on Amazon, you would be probably laugh at. It is astonishing how quickly this new trend took off and became an absolute sensation. Some people love them because they provide them with a canvas upon which they can express their creativity and artistic talent without thinking about the subject itself, and others use adult coloring books as a way to relax or even get past mental and physical hurdles. Now with the new trends in app development, there are also tons of apps available for adult coloring. Therefore, to narrow down the selection we have chosen Color Matters an adult coloring app. Color Matters is the ultimate stress reliever on the go! Take a break and relax with a unique coloring book app that lets you color as if you would on paper, unlike other "tap-to-fill" coloring apps. Choose from the largest collection of hand curated, professionally drawn illustrations, different kinds of pencils, markers and brushes, and an unlimited number of colors to choose from. Once you are done, easily share them with your friends and family using Facebook, twitter or WhatsApp. While coloring the app also gives the feature of background music, which causes a more peaceful effect on your mind and making this app to work more perfectly to relive your stress. You can also customize the background music as it contains a collection of different soothing music clips. The stylish user-interface is simple to navigate, yet it provides you with plenty of ways how to make the artwork truly yours using special filters and effects. If you want to avail all the features, the app also offers Deluxe and Premium memberships with different prices. Do not hesitate to download it is the perfect therapy for your stressful day. It is compatible with both Android and iOS. Direct download links to the app for recommended stores for your devices are given at the end. It's a neat anniversary iOS and Android app. Couples can easily track their anniversaries. It can be from the first kiss, marriage, engagement. Just enter the date and Anniversary Assistant will show you great amount of relevant information and statistics that will help you celebrate your anniversary with much more dedication and passion. "Wow. Impressed by the amount of information and features of this anniversary app. As a person that tends to forget these dates, this app is really helpful and meaningful to me. Recommend it totally!" Not all language apps, created equal. While there are a number of apps that will help you out when traveling to foreign countries, there are fewer apps that will actually help you learn a language. However, whether you want to learn in an educational manner or want a fun option, there are some great apps out there. Therefore, this time we have chosen an app, Lingbe for this review. 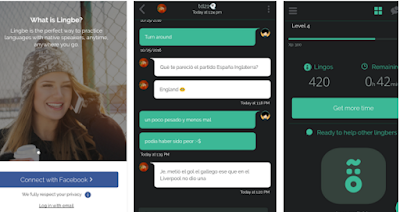 Lingbe is a free app that helps users to practice languages with native speakers. All you have to do is to call a native speaker that will help you practice at any time you want; Lingbe will connect you instantly with someone available. If you had, pleasant conversations give them a like after the call. If they like you back then you will both have the ability to chat and practice again at any time. Just as if you were chatting with your friends in a regular messaging platform. · Improve your fluency from anywhere using your smartphone. · Make new friends that share your passions and interests around the world. · Collaborative -Help you help me, we are all in the same boat, we just need to help each other. 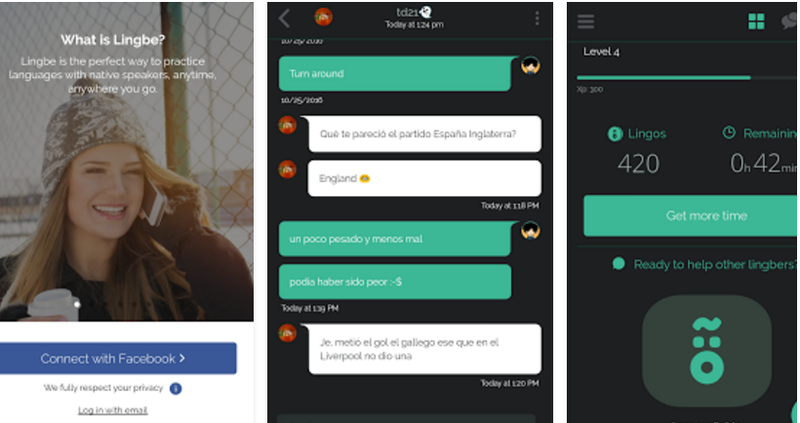 · Track your improvement and receive real time feedback on your progressions from native speakers. · Help other users to level up faster and earn more credit to practice. You will also unlock special rewards as you level up. Download Lingbe and get 15 minutes of free credits so you can start practicing right now. It is free for both iOS and Android. Click the recommended link below for your device. 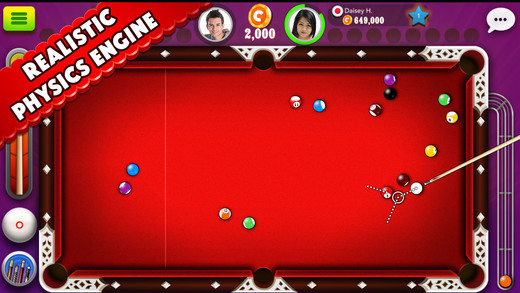 It's a pool game available for iOS and Android. It is available to play in multiplayer against other players. You can explore the different pool rooms and find great pool opponents. It's fun and incredibly enjoyable. "Very Good!! The Best Pool Game,Good Graphics,No Logging,Keep It Up,Can't Wait For An Update!!"